Our popular Community Supported Agriculture program is back for 2019! 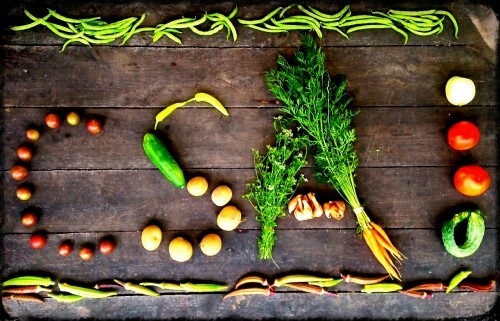 We offer a wide variety of fresh produce at our NC Certified Roadside Farm Market on NC 903 in the spring and summer. There’s nothing else quite like farm fresh NC Strawberries. We offer pick your own or fresh pre-picked berries! Fresh eggs from laying hens raised on all natural feed. No hormones and no antibiotics. Nutritious and delicious! Welcome to Renston Homestead and Strawberries on 903, a North Carolina Certified Roadside Farm Market! We offer pre-picked and pick your own strawberries, fresh produce, cut flowers and plants, beef, pork, eggs and farm tours to Greenville NC, Winterville NC and surrounding area residents. Located in Southern Pitt County in the heart of a thriving farm community, our property consists of approximately 250 acres. The farm is part of the Renston Community that is listed in the National Register of Historic Places. Please visit our about page to learn more about our farming heritage. The Homestead is currently functioning as a fruit and vegetable farm, complete with a hundred-year-old tobacco barn that has been converted into a roadside stand. In the spring, visitors can pick strawberries or purchase other seasonal produce grown on the farm. During the spring and summer months, fresh vegetables, herbs, and flowers are available. Other activities include farm tours, farm animal petting for the kids, pick your own strawberries, and hay rides. Come on out to the farm and see us to learn about the history of rural life, the evolution of farming in the community, and experience the enjoyment of a country lifestyle that is so much a part of our heritage.